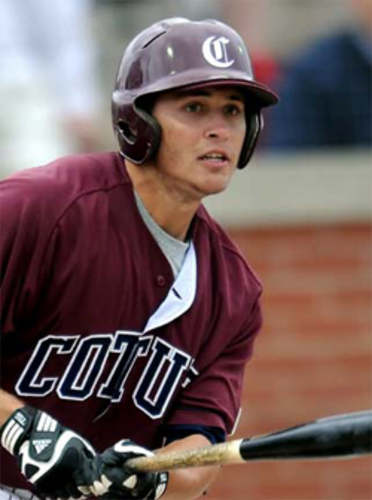 Sweet-swinging outfielder and the league’s top hitter Patrick Biondi (Michigan) of the Cotuit Kettleers earned recognition as the Cape Cod Baseball League’s Coca Cola Player of the Week. Biondi, who leads the CCBL with a .404 batting average, started the week strong by hitting a double against Bourne that helped earn the Kettleers a 12-11 victory. He contributed to another Cotuit win against Y-D with a double in a 7-4 win. Originally from Woodhaven Mich., Biondi is a junior for the Michigan Wolverines. He was named to All-Big Ten Second Team in 2012 and 2011. He ended the 2012 with a seven-game hitting streak and a .303 batting average. 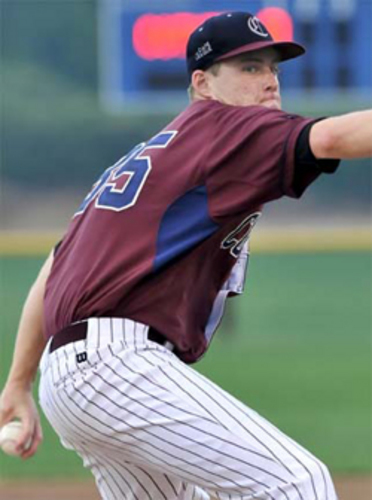 Cotuit made it a clean sweep as Kettleers’ left-handed pitcher Kevin Ziomek (Vanderbilt) wowed spectators with performances in two games that earned him Coca Cola Pitcher of the Week. In last Sunday’s game against Bourne, Ziomek struck out nine Braves in six innings, leading Cotuit to a 7-4 victory over the Braves. Ziomek, who is 2-0 with a sparkling 1.19 ERA, shined against Wareham when he posted six strikeouts in seven innings. His most impressive feat was getting out of a no-out, bases-loaded jam in the seventh inning, managing to pitch a strikeout, lineout to right and groundout to finish the inning with Cotuit’s 3-0 lead intact. Ziomek, who hails from Amherst, Mass., is attending Vanderbilt and in 2012 pitched many important games. Included is a SEC tournament game against NCAA World Series finalist South Carolina and a career-best contest against San Diego, when he pitched eight shutout innings with eight strikeouts.